Attorney Jeff Sessions submitted his resignation to the President today. 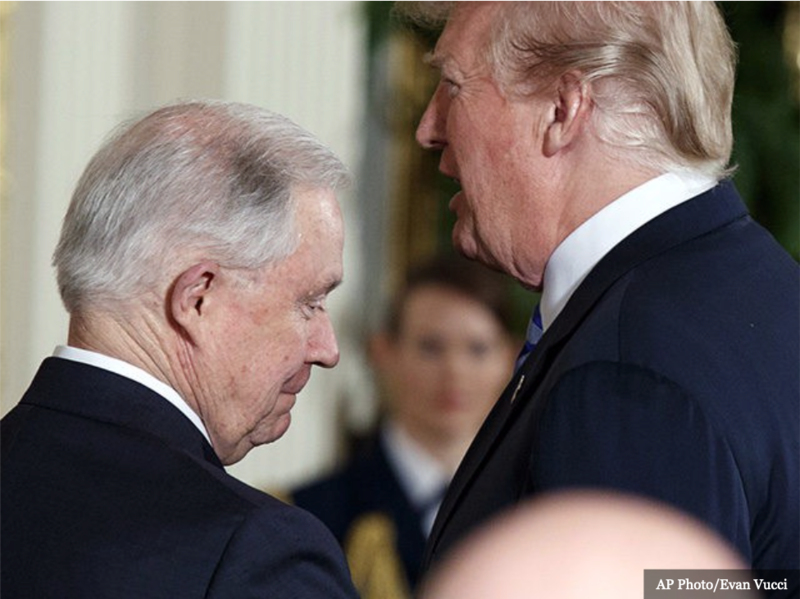 President Trump declined to answer questions about Sessions during his press conference but later tweeted his thanks for Sessions service and announced Matthew G. Whitaker, Chief of Staff as his replacement. Trump declined to answer questions about Sessions during his press conference earlier Wednesday afternoon. Sessions was long rumored to leave the administration as attorney general after the midterm elections and the president moved quickly to replace him. A Department of Justice spokesperson confirmed to Breitbart News that Whitaker would reassert control of the Mueller Russia investigation, which was under the purview of Deputy Attorney General Rod Rosenstein after Sessions recused himself in March 2017. No Comments on "Jeff Sessions Resigns As Attorney General"